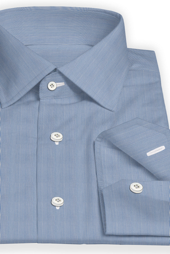 William T. Clothiers has released its line of Wrinkle Resistant/Easy-To-Iron line of custom shirts. 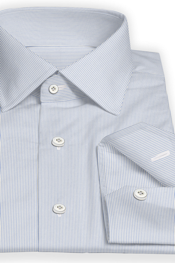 Available for custom fitting and orders at WT Clothiers studio, these Wrinkle Resistant shirts features a pre-cure process in which the Wrinkle Resistant process occurs during the production of the actual fabric versus the post-cure option where it is applied to the fabric after it is created. This allows for the fabric to feel softer, breathe better due to the exclusion of harsh chemicals and the cloth will fit better over the body. 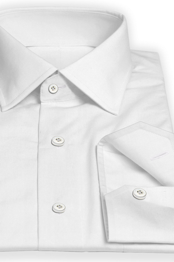 After washing and drying your own shirt, all it will need is a rapid run under an iron and the shirt will stay crisp and keep its form much longer!